Lots of household pests can damage your home, but not many can actually eat it. A termite clearly belongs in the latter category, and that is why it is so important to look for the early warning signs of an infestation. If you wait until you see swarms of termites flying around your home, the damage may already be substantial. Knowing what to look for and what to do next could mitigate the damage or even save your home. Often the first sign of termite infestations is a pile of discarded wings. When the termites leave their homes to form new colonies, they leave their old wings behind. Keep a sharp eye out for piles of wings along the side of your home, in spider webs, and in other areas around the property. If you find them, take a closer look to verify they came from termites — or simply call an exterminator. Swarms of termites are another important early warning sign, but they often go unnoticed by homeowners. That is because those swarms are brief, and they usually take place during the morning or afternoon hours when most people are at work. 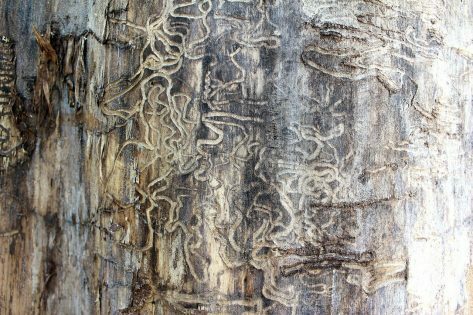 If you do notice a swarm of insects, however, it is a good idea to look for other signs of a termite infestation. When termites move back and forth between their nests and the wood they eat, they do so using sheltering structures called mud tubes. These mud tubes are constructed of small pieces of wood, soil, and found debris, and they are often one of the most noticeable signs of an infestation. While the majority of the mud tubes are underground, they do stick up above the surface of the soil. If you see any suspicious structures in and around your home, your next call should be to the exterminator. In some rare cases, you may be able to spot termite droppings, but for the most part, they are pretty unobtrusive and easy to miss. What you will not see are termite mounds; the species that construct those large mounds are found in Australia and Africa, not North America. If you do spot any other signs of a termite infestation, however, it is important to call in the professionals as soon as possible. Termites do billions of dollars worth of damage every year, and if you do not move quickly, your own home could be the next victim.